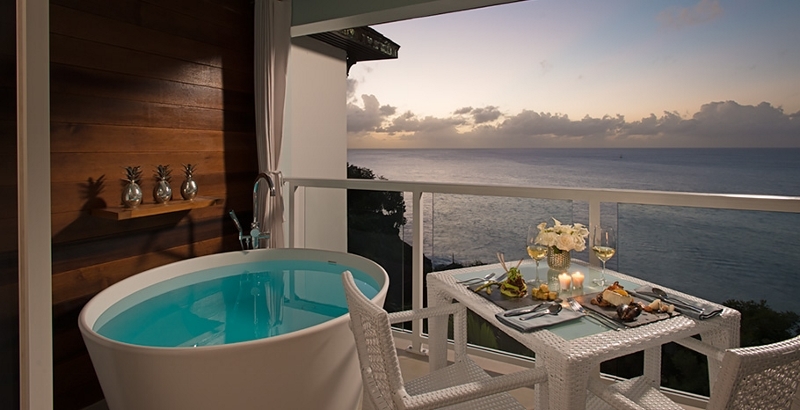 Love Nest Suites offer marvelous views of the Caribbean sea and hillside. The living room area is very spacious with plush seating and custom-crafted furnishings. 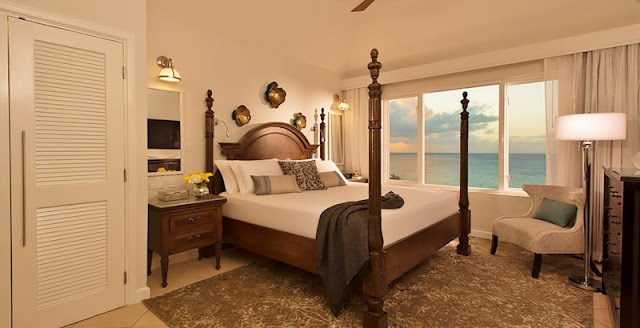 The master bedroom features a king-size bed, additional HD Smart television, and large windows framing views of the Caribbean Sea. The en-suite spa-style bathroom features modern finishes, long vessel sink, shower, and free-standing soaking tub. And just outside the living room is a furnished private balcony including a bistro set and Tranquility Soaking Tub for two, where you can enjoy al fresco dining with the ocean as your backdrop. Butler Elite and 24-hour room service are included. All-inclusive rates include all meals, premium drinks, Wi-Fi, butler service (only for some room types) and unlimited golf, land sports and water sports, including a scuba diving program. All gratuities included and complimentary airport transfers. Note: Caddies mandatory and carts are optional (both for additional fees) - Shoe and club rental available. Each of the (3) Sandals St Lucia resorts have their own distinctive personality, and you can enjoy each one. 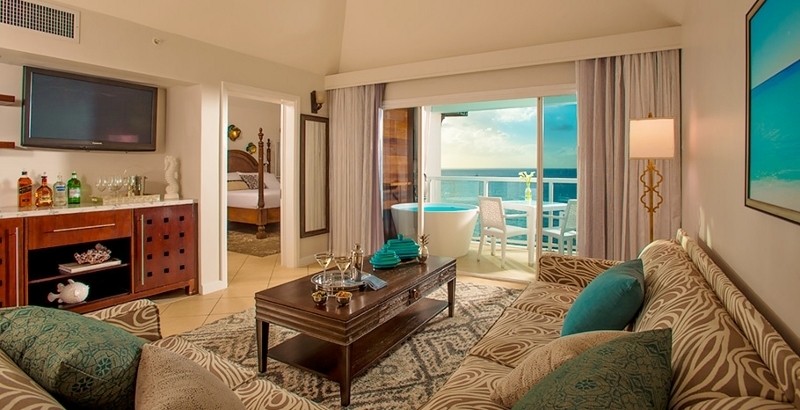 The exchange program provides guests the opportunity to stay at one Sandals resort, and enjoy the amenities and services at the other Sandals resorts on that island for the duration of your vacation. Free transportation is provided between resorts. No transportation is needed in Barbados as the Sandals properties are right next door to each other. 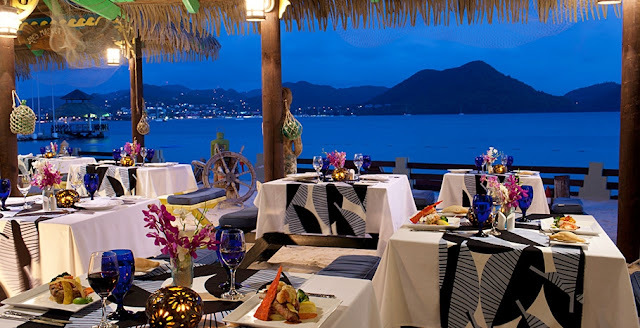 Take advantage of the "Dine Around" program and opt for meals at the other (3) Sandals St Lucia Resorts, and have a choice of 27 varied restaurants. 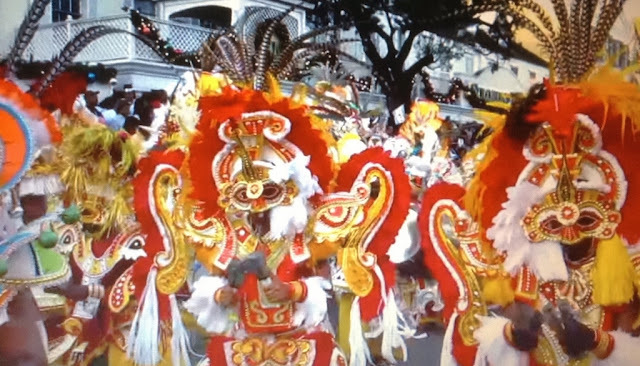 Complimentary round-trip transfers are provided between all resorts. Other Caribbean islands with multiple Sandals Resorts in the exchange program include Barbados with (2) resorts and Montego Bay, Jamaica with (3) resorts. Yes, it's extra! Your butler will handle everything for you from reserving pool & beach chairs (they go quickly), booking dinner reservations, island tours, and getting speedy shuttle service around the property. Note: When booking dinner reservations through the butler service, you will always be given priority seating over other guests who did not opt for the butler service. View all available suites and rates at this amazing Caribbean property. 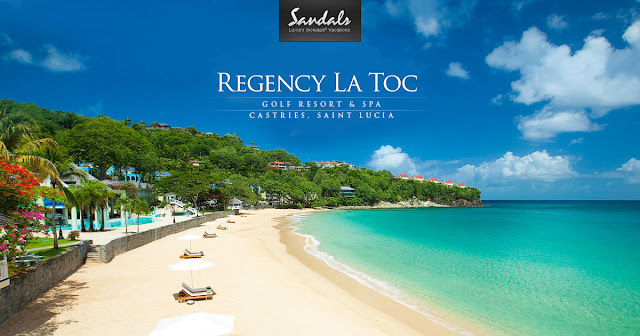 Sandals offers great promotions throughout the year. If you are interested in any of the All Inclusive Sandals Resorts in the Antigua, Bahamas, Barbados, Grenada, Jamaica, or St Lucia, sign up to be notified of the latest specials, or contact your travel agent.